The convenience of modern plumbing is often taken for granted until something goes wrong. For the property managers, owners, board members and residents of condos, it can be difficult to determine what went wrong with the condo plumbing system and how best to fix the problems before they become major plumbing issues. Condo plumbing systems are more complex than that of detached homes and businesses because the plumbing pipes are designated as public and tenant-owned. The plumbing pipes in and around the public areas of the condo are the condo’s responsibility while the plumbing pipes inside and around the units are the responsibility of the unit owners. It gets even more complex when you realize that two or more units may share a particular section of plumbing pipes. Condo plumbing systems have potable water lines that bring fresh water into the building from the city’s municipal water supply. These lines can be made of copper, PVC, CPVC and PEX, and they carry water to all the fixtures and water using appliances in the building. Condos also have waste and vent stacks. For every water fixture, there is a drain line and a line to a vent stack. The waste stack allows dirty water to leave the condo and the building. The vent stacks allow air into and out of the drain lines, which balances the system and ensures that waste water flows down the drain into the main sewer line. A plumbing system fixture is anything that dispenses and drains water. Fixtures include sinks, toilets, faucets, shower heads, dishwasher and washing machines as well as any other appliance that has a connection to the main potable water system. Condos tend to have a few common plumbing issues. 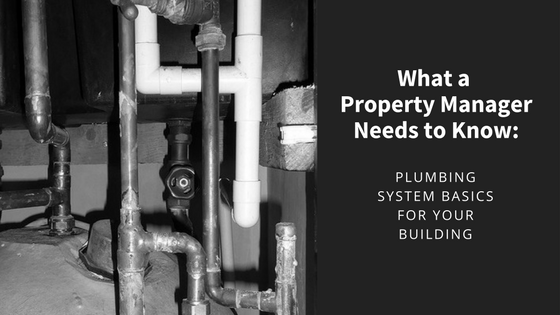 Depending on where the plumbing issue is located, it may be the responsibility of the HOA or board members, or it may be something the unit owner has to fix. Clogged Drain Lines – Clogged drain lines can occur just beneath a water using appliance, or it could be located in a waste stack or the main sewer line. If the clog is related to a shower, sink or toilet, it’s probably the responsibility of the unit owner. If it’s located in a waste stack, the main sewer line or in a pipe adjacent to a public area, it may be the responsibility of the HOA. Corroded Potable Water Pipes – All potable water pipes deteriorate over time. As the pipes get older, the chemical composition of the water combined with the water pressure can cause pipe corrosion, cracks, pits, leaks and blowouts, especially at joints and seams. If the corroded pipes are located within a unit, they are probably the responsibility of the unit owner. If they are located in a public restroom, kitchen or break room, they are probably the responsibility of the HOA. Sewage Backups – Clogs in the waste stacks and/or main sewer line can create sewer backups, which may involve one or more tenant units. If the clog creating the backup is located in the main sewer line, it may be the responsibility of the HOA. If it is located in a shared drain line or waste stack, an evaluation may need to be performed in order to determine who is responsible for fixing the problem. Trenchless technology from NuFlow can help correct common condo plumbing issues and restore the function of your condo plumbing system. Our pipe liners and epoxy coatings are designed to seal leaks and prevent further corrosion, which extends the lives of your plumbing pipes without damaging drywall and expensive finishes. Our pipe lining technicians can even work with the HOA and individual unit owners in order to create a custom pipe lining solution that meets your HOAs covenants and guidelines while repairing your condo plumbing issues. To learn more about how pipe lining can help increase the useful lives of your plumbing pipes and fix common condo plumbing issues, call us today at 815-790-9000. Do you have a dealer or technician in Hawaii that deals with condos?